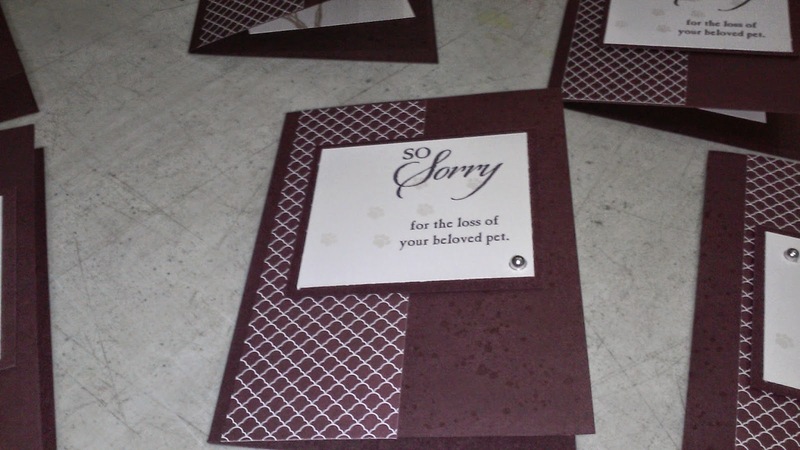 Art Gallery Cards: Art Gallery Cards Monday: Pet Bereavement Card, 3-Step Stamping, & BLOG CANDY! 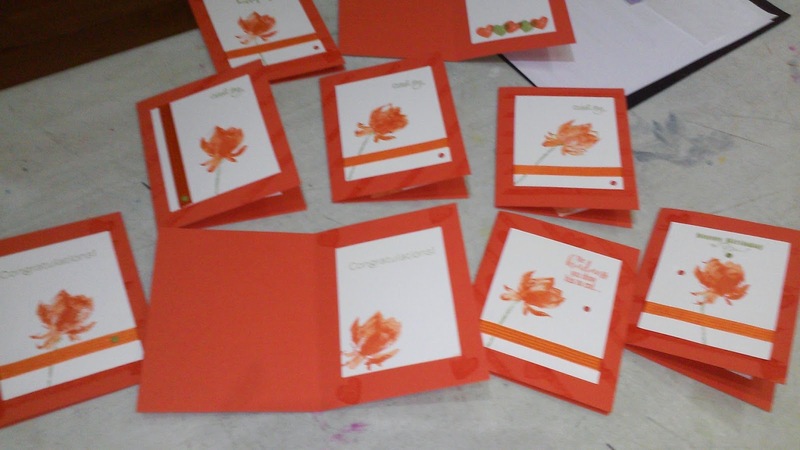 Art Gallery Cards Monday: Pet Bereavement Card, 3-Step Stamping, & BLOG CANDY! Once again, "Happy New Year" and we're off and stamping in 2015!! The pet bereavement card is a hybrid that I created with my My Digital Studio "stamps" for the front of the card sentiment and little paw prints. Some gals made a "people" card and for both cards we used the wonderful stamp set, "Love and Sympathy" stamped in Crumb Cake. 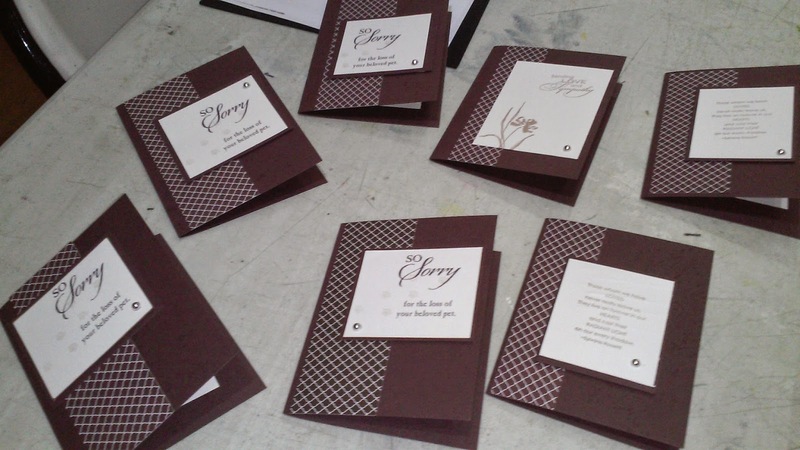 The Chocolate Chip fancy fan designer paper is from the Neutral Designer Paper Stack. I'm including a link for a free 30-day trial for My Digital Studio, as well as the other products we used for the card. Happy New Year Stamping!! Blog Candy Alert! I'm not even hiding it this time! New ribbons, Designer Paper Samples, Pearls and a brand new Occasions stamp set! Leave a comment in the comment section and get into my Blog Candy Drawing! Out-of-Town readers, you are eligible too. If your name is announced, just email me your address and your "candy" will be on it's way! The drawing will be on January 12! What a great way to start off the New Year. Love me some of that blog candy. Happy New Year, Ree! Sorry I missed class Monday! My son leaves today so I stayed home to spend a few more houses with him! See you next week. Awwwww. Glad you had some good time with your son, Cyndi! See you thext week!! Wish I could be there to stamp with your group. 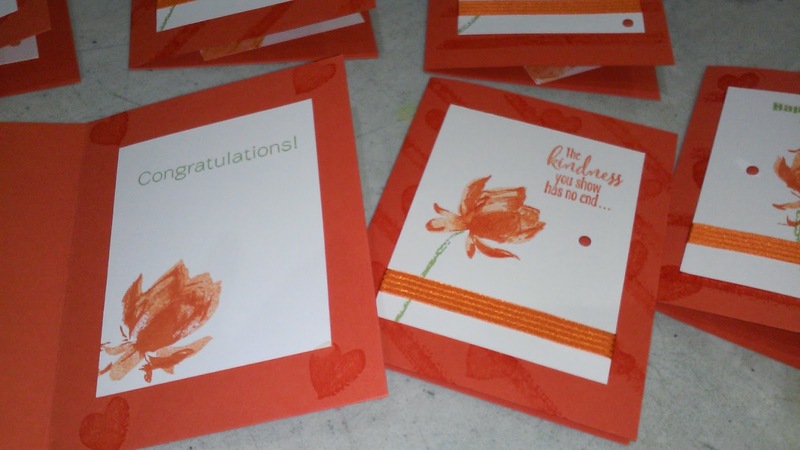 Love to see the beautiful posts of creations from your talented stampers. Thank you, Linda! I wish you could too! Looking forward to Leadership with you in a couple of weeks!! I'm not sure how you did it, but Monday's cards were exactly what I needed. You really are a clever girl!